What to Consider When Buying a Barbell? 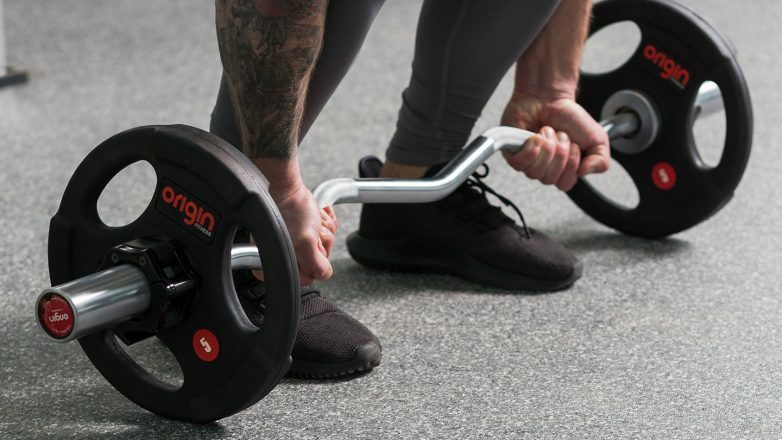 Home » Sports & Entertainment » What to Consider When Buying a Barbell? A couple of years ago, when I purchased my first weight bar, I didn’t put much thought into its quality or type, because barbells are just barbells, right? That logic led to a world of disappointment when I broke it just a few days later, without even using that many heavy plates on it. Thereafter, I decided I should probably do some research before I buy another one so that I don’t end up wasting money while trying to save up on buying a cheap model instead of a more expensive, better-quality one. Before you can make a well-informed decision, you need to understand the barbell’s anatomy. Typically, barbells feature a 28-29mm diameter shaft, and they come in various shapes and sizes. They typically weigh either 20kg or 15kg. The shaft of the barbell is built with a special machining process that gets the bar’s length and diameter. There’s a part on the shaft known as a “knurling”, which is the cross-hatched, rough surface. This surface helps improve grip. However, there are also models that don’t have a rough knurl but are smooth instead. Nevertheless, this mainly depends on the manufacturer. That being said, if you’re buying from a physical gym equipment store, it’s a good idea to feel the bar in order to get an idea of what you prefer. If you’re shopping for a barbell online, however, then you should mostly rely on the spec sheet and reviews. Different bar models feature different knurling, so you’ll have to decide what you’re most comfortable with. Then, you have to consider the bar’s sleeves. The sleeve is the part where you put the weight plates. They’re usually built by DOM (drawn over mandrel) tubing, which is a specialised machine process for manufacturing strong and straight sleeves. The most important factor to consider about the sleeves of the bar is the way they spin on the shaft. Unless you’re an advanced lifter (which, to be honest, if you’re reading this guide you probably aren’t), the bushing and the bearings don’t matter all that much. Last but not least, you have to consider the barbell’s strength. Generally, the number of weight plates you can put on the sleeves will depend on two factors – yield and tensile strength. The tensile strength is the maximum load your bar can take before breaking. That being said, the more tensile strength the bar has, the better it is. However, if you aren’t lifting heavy, this won’t be as important as the yield strength of the bar. The yield strength of the bar represents the amount of weight it can handle before it bends or becomes deformed. Breaking and bending are very different, and unfortunately, not many manufacturers provide yield strength information.